This condition is a common post-operative complication associated with having a tooth extracted. 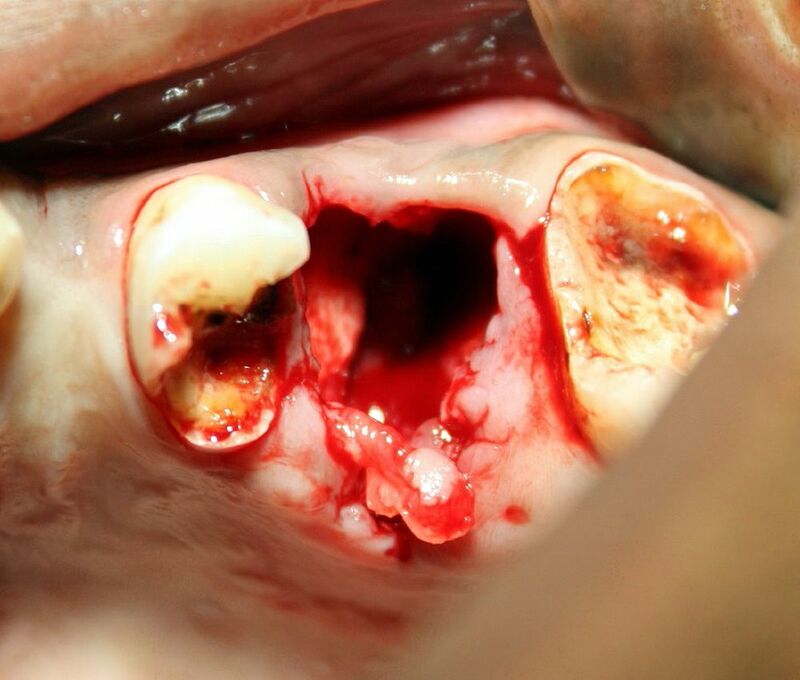 It involves a situation where an extraction site's healing process is interrupted (delayed) due to the loss of the blood clot that normally occupies the empty tooth socket. The predominate signs of a dry socket include: 1) Throbbing pain and 2) A foul odor and taste coming from the extraction site. Characteristically, these symptoms do not appear until a few days after the tooth was removed. Pain medications on their own, even prescription ones, are seldom effective in managing the discomfort associated with a dry socket.